Brands want to see more women behind the lens, so the creative industries must act. "There is a risk that brands will become irrelevant if they don’t put diversity in front of and behind the lens." 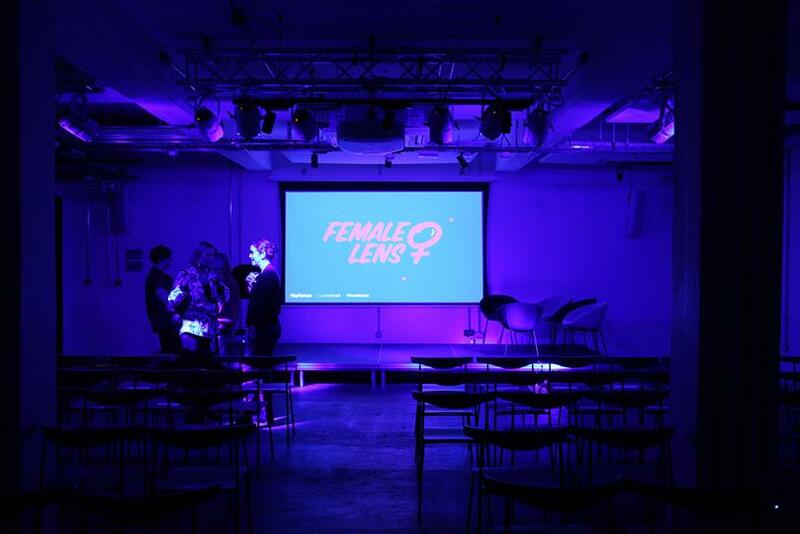 Malcolm D’Sa, next generation marketing implementation director at Diageo, was one of the voices calling on greater gender parity in HeyHuman’s Female Lens showcase last week – an event that highlighted the lack of gender parity when it comes to directing. The showcase, held in association with production agency Another, featured established and up-and-coming female directors presenting some of their best work to an audience of agencies and brands. Nicola Kemp, trends editor at Campaign, chaired a panel that explored the inequality within advertising directing and how we can get female talent off the subs bench and into paid work. The panel reminded the audience that a staggering 93% of commercials are directed by men and 88% of creative directors are male. A great deal of female talent is struggling to get through the door but, in spite of this, Karen Cunningham, director at Thomas Thomas, said she felt it’s "the most fantastic time for women" directors. "If you’ve got the talent, the opportunities are there; there’s more work around and we can give women more opportunities. When I started, it was very hard. I had no female role models," she said. The conversation is growing, and more women feel empowered to pursue a career in directing, but there’s a way to go before the fight is up. Initiatives such as Free the Bid are a fantastic force for good, but it’s up to industry leaders to recognise female talent and ensure women win a fair share of directing jobs. Cunningham added: "I want to be a director first and I want to be a female second. In the end, it comes down to talent, not gender, and I think that’s what we should be moving towards. Once the industry realises our talent, we won’t be ‘female’ any more. We’ll just be directors bringing our own personalities and chemistry to a project." When asked whether there’s a risk that brands will become irrelevant if they don’t put women in front of the lens, D’Sa agreed, stating: "Sixty-six per cent of women will turn off advertising if it portrays them in a negative or stereotypical way. So if you’re a brand and not representing women accurately, or not representing women in a positive/progressive way, then you run the risk of turning them off." D’Sa discussed just how harmful this can be to a brand: "Eighty per cent of women are the leading purchase decision-makers in households, so we’re not going to be able to engage with them and persuade them to buy a brand [if they’re not represented]. It’s a massive, massive risk." Having more female directors on board will most likely help to increase female representation in ads and brands will stand to benefit. However, there’s still the issue of funding for women and how we give them the platform to get on the right people’s radar. Kemp touched on this point, highlighting how women are not only victims of inequality but are the ones held soley responsible for fixing it. Funding structures, for example, are not as inclusive as they could be and women often feel alienated from the process. When quizzed on the action points for brands and how the industry should respond, Emma Turpin, senior team lead at Google Creative Lab, said: "If you’re a brand, you’ve just got to take a punt. I think you will reap the rewards. We have a programme in the lab called the 'Fivers'. We bring young people in who haven’t worked in the industry before and they work with us for 11 months." Turpin stressed the importance of the programme to Google, imploring brands to follow suit and invite young directors in. "Meet them, talk to them, understand them", she said, so that you’ll get a better sense of who they are and what they can offer. The panellists also highlighted the importance of chemistry to the creative process. Tanja Adams, founding partner at Another, said brands and agencies should try to move away from the traditional model of first seeing the reel and then getting a treatment. They should be mixing it up. She said: "Meet people – because it’s about chemistry and inspiration. Whatever relationships you form in life, you don’t form from a piece of paper. You form [relationships] from instinct – and that’s how we’ll create amazing work. It doesn’t matter who it’s with." D’Sa agreed, saying: "One of the things we’re stressing is not just about getting reels or treatment, but meeting the people and saying to our agencies: 'OK – who’s the outsider? Who’s the wildcard? Give us a wildcard here. Let’s see something we haven’t seen before.'" He also highlighted how closely Diageo is working with its partner agencies to uncover what kinds of talent they’re employing. D’Sa is of the opinion that more inclusivity will lead to better business performance: "That filters down to our agencies, because if our agencies are more diverse, then the creative output is going to significantly improve."